Whether or not a person agrees with alternative medical options individuals are using, the fact is that people are increasingly looking for alternative solutions to Western medicine. One study about alternative medicine from the New England Journal of Medicine demonstrated that the number of Americans using alternative medicine rose from 33% to 42% in just a couple of years, and other research says that the number might be as high as 70% now. One method used, with scientific evidence of impacting mind, body and spirit, is sound and vibration therapy. 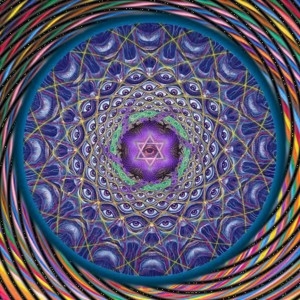 If someone would like to hear some of the healing frequencies, a perfect place to start is with Solfeggio Frequencies. Modern medicine shines when it comes to addressing conditions with body science, however it sometimes misses the mark when it comes to treating the person as a whole. Many people today have realized that simply treating the body alone isn’t all there is. There is great promise when it comes to treating conditions, and the person as a whole, with alternative methods. Sound and vibration therapy have shown evidence of possible, positive benefits for certain conditions by altering the way cells behave. One study showed that sound can change substances. It as well has been demonstrated time and again that sound can impact psychological states. Thus, the two together are another argument for using sound to treat the person as a whole. Dr Amgad Rezk, RMIT University, and his research team have created a new class of sound wave, according to recent reports. This breakthrough is the first in more than 50 years. At this point, the sound is used to modify medicines and break them down into more easily administered forms and they hope it could lead to a breakthrough in stem cell therapy. Quantum Biology Research Lab showed that sound impacts in vitro DNA. Using Sanskrit and Gregorian chants with 528 Hz frequency, they were able to see changes in the absorption of UV light after 60 minutes of exposure to the sound. Therefore demonstrating that the DNA had been altered by the sound. Lauren K. King (Wilfrid Laurier University), discovered that vibration therapy helped people with Parkinson’s disease regain some mobility. With more people wanting to have some say about their treatment, wanting to make some of the choices themselves, and the ever changing discoveries with sound therapy, it’s important to make sure that they are using tools that are safe and actually can have a positive impact. Solfeggio Frequencies and the vibrations they bring seem to be a way to do that. Truly having a say and a choice in how a person lives a healthier life is a topic that is certainly getting a lot of attention. However, most people don’t know about or understand how these alternative therapies work, particularly sound therapy, or where to find the tools. Today, it is important for people to feel as if they have a part in their treatment, have choices and feel as if they can combine Western medicine and alternative therapies for a healthier life. If a person is just learning about sound therapy and wanting to do their own personal study, using a trusted source that provides a way to do it for no charge appears to be the best place to get started. More information can be found online at Science Of Imagery.